I never really appreciated how well Dylan slept until I had Archie. I thought Archie was a bad sleeper until I had Finn. I thought I knew what tiredness was, and then I had Cora. Somehow my babies have managed to get progressively worse at sleep and the idea of a full nights sleep is becoming less attainable. 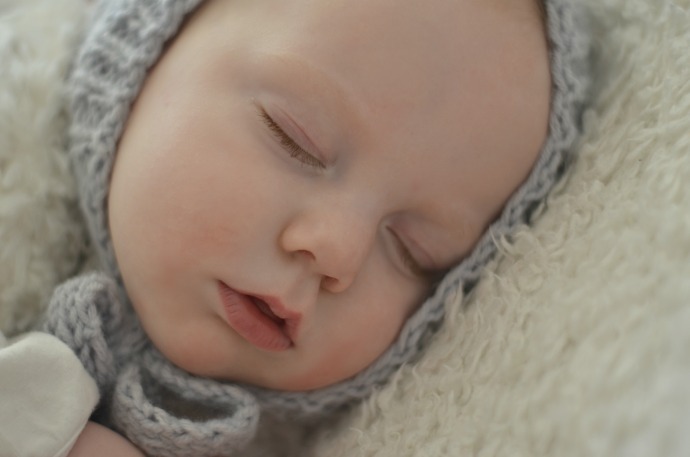 Finn still wakes once or twice a night, he is normally settled with a dummy or a quick cuddle, but Cora wakes regularly, every two hours minimum for milk. At 7 months, I am starting to struggle more with the sleep deprivation. In those early days things are so blurry but the adrenaline and new baby hormones seemed to help me cope. As Cora gets older, it is getting harder to function the next day and it seems the less sleep I get, the more time in the day I spend thinking about it. I feel like we have got to the stage where I need to decide what is more important to me. I love co-sleeping and in many ways it works so well for us. I barely need to stir in the night to feed her and it feels so natural to be close to her. Cora is happiest in the bed with us, she doesn't have to cry out in the night for me and risk waking a brother and there is something so precious about having a baby curled up sleeping next to you. On the other hand, I do think sometimes that if she couldn't smell me, if she had her own space, that she may not wake as frequently, and maybe we could both get a little more sleep and spend our days looking a little less like a zombie (me, not her). We have a snuzpod set up attached to our bed which she still comfortably fits in and when we are both ready we can rearrange the bedrooms and sort out her cot. With a busy house, there is something so special about our night time cuddles. Cora is always close to me in the day, but this is our time to be quiet and calm together, our time without a brother trying to cuddle in at the same time, without distractions, just still. As she is becoming more mobile, I need to start thinking about how to keep her safe too, whether we need to get bed rails for the other side of the bed, or invest in a video monitor so I can keep a better eye on her. For now I am going to enjoy the quiet bedtime cuddles and just hope we come out the other side of this rather long sleep regression. Any tips? 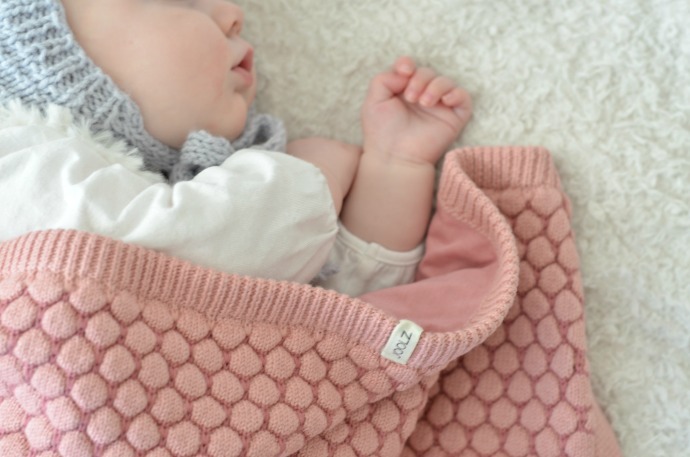 Cora's beautifully soft organic cotton blanket was sent to us by the people at Joolz and it looks so snuggly! Beautiful photos, that blanket looks so snuggly! You must be shattered. I have no tips I'm afraid, I only have 1 to put up with! Gorgeous blanket! We had our 4th 6 months ago and am finding the same issues! The baby doesn't sleep through the night so what with him and the 3 year old waking up- it's often chaos!! Ah enjoy the cuddles, and she looks so peaceful curled up under that blanket. You're know when it feels right for you, and just go with it.